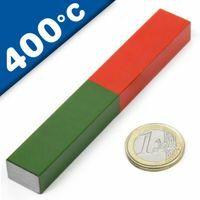 Alnico Magnets Industrial Magnets from a great selection. 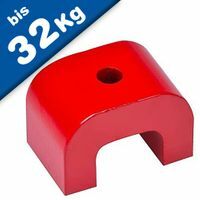 We carry a large inventory of grade 8 alnico disc magnets & grade 5 alnico (grade 5) alnico rod magnets, available in a wide range of sizes and shapes. 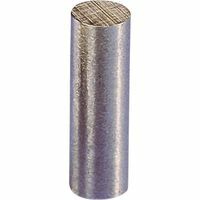 Alnico magnets are most commonly found in horseshoe shapes, rods or cylinders, They're excellent for high temperature applications with a service temperature limit of 550° C. Alnico is a hard and brittle material, and is difficult to rework. Small custom ground batches are economical to produce if our current stock sizes do not meet your requirements. 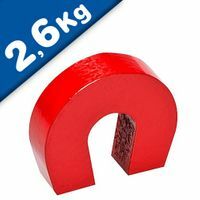 As one of the members of magnets family, Alnico remains the workhorse of the permanent magnet industry and can be relied upon to deliver impressive flux density at an economical price. 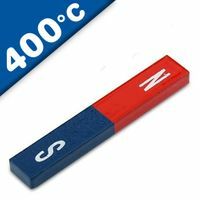 Alnico also boasts the lowest temperature coefficient of any commercial magnet material (0.02% per degree centigrade) allowing for excellent stability over a wide temperature range. The most efficient use of Alnico requires that it be magnetized after the magnet has been assembled with its pole pieces into the final magnetic circuit. Magnetic saturation at the end-use location requires the application of a magnetizing force 4 to 5 times greater than the coercive force of the material. 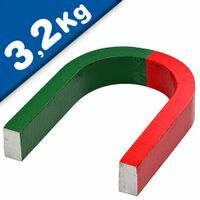 For Alnico 5, a magnetizing force of 3000 oersteds (240 KA/m) is recommended. For Alnico 8, the magnetizing force should be at least 7000 oersteds (560 KA/m). The magnetizing force need be applied only momentarily. Thus, impulse magnetizers employing a capacitor discharge are commonly used. Direct current magnetizers are also effective. As one of the members of magnets family, Alnico remains the workhorse of the permanent magnet industry and can be relied upon to deliver impressive flux density at an economical price. 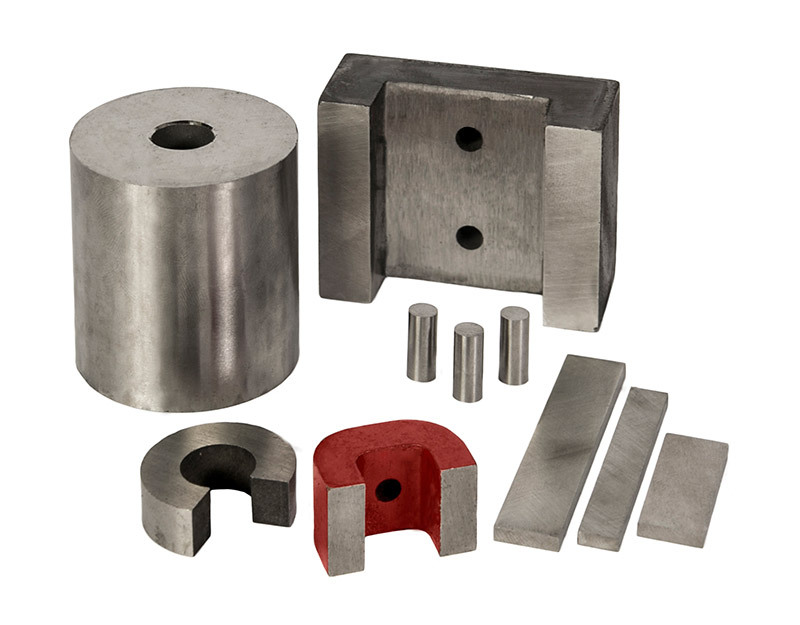 Excellent temperature stability, high residual induction, and relatively high energies characterize Alnico materials, composed primarily of alloy of Aluminum, Nickel, and Cobalt. They are manufactured through either a casting or sintering process. Cast magnets may be manufactured in complex shaped, such as horseshoe. 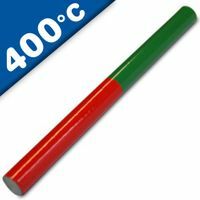 Alnico is an extremely hard material that performs well in high temperature situations, offering a service limit of 550 degrees Celsius. 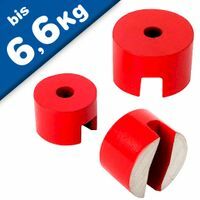 Buy Alnico Magnets at Magnosphere and get a better deal!